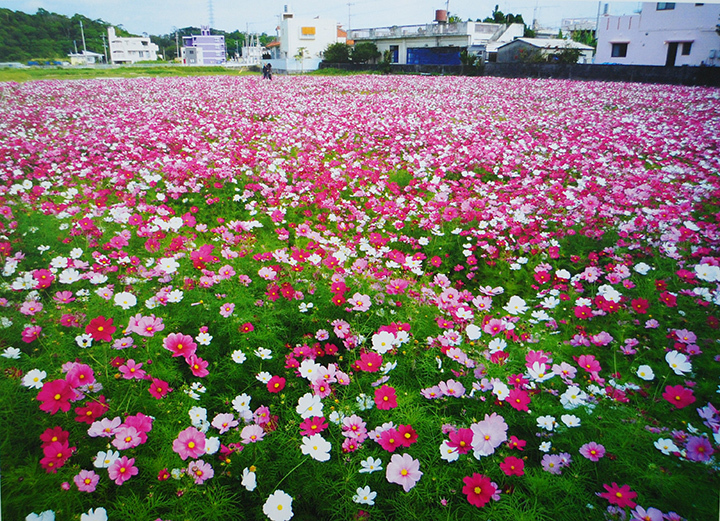 The cosmos flower, a sign of the coming spring, blooms for as far as the eye can see. Igei’s villagers plant cosmos seeds as a form of green manure in the village’s rice fields, which lay unused between November and March. The best time to view the cosmos blossoms is in mid-February. The blooming cosmos flowers become more popular with each passing year, and as a sign of the coming spring have become something of a seasonal tradition in Kin town. 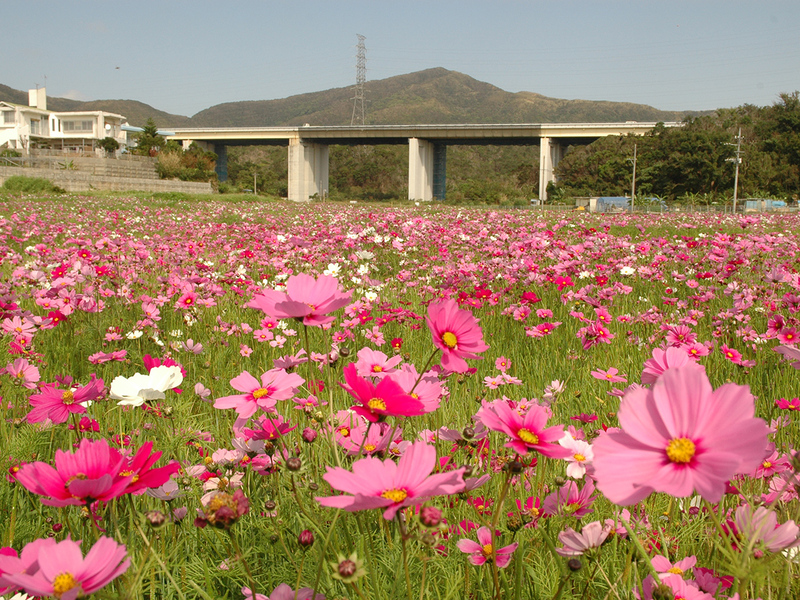 With magnificent blossoms for as far as the eye can see, Igei’s cosmos fields attract not only Okinawans, but also visitors from outside the prefecture. A well known photography spot, the village also gives away free cosmos seeds to visitors. Things to See & Entertainment Monument to Yaka prisoner of war camp The location of a post-second world war prisoner of war camp. 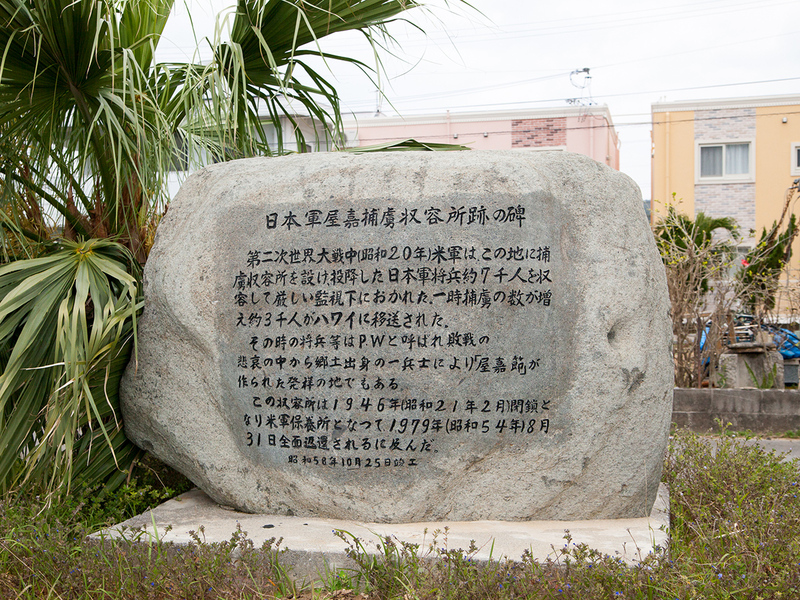 On the back of the monument "Yakasetsu," a song of war grief, is inscribed. 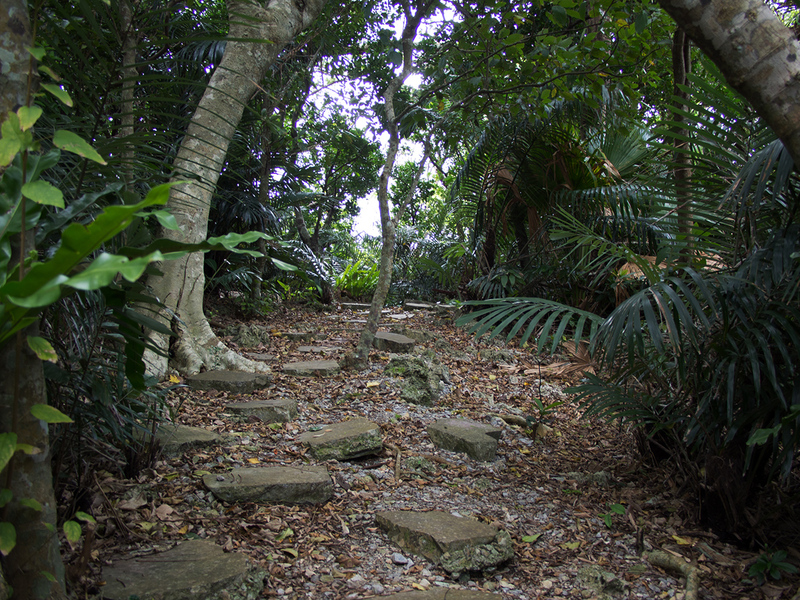 Things to See & Entertainment Tumusuzu Sacred Grove Sacred grove in the lush green hills near the town hall. There is a scenic path with benches, and you can stroll around the solemn park. 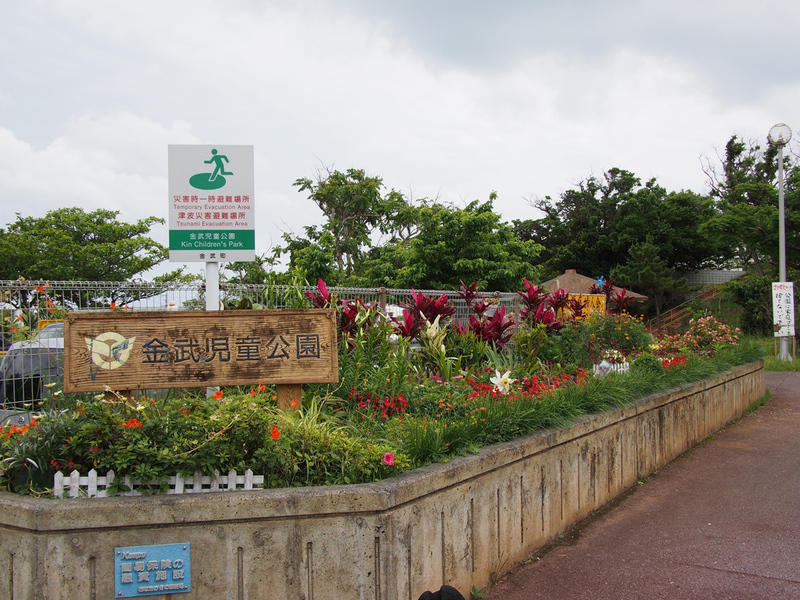 Things to See & Entertainment Nakōga Well Well that until recently was used as the local water source. 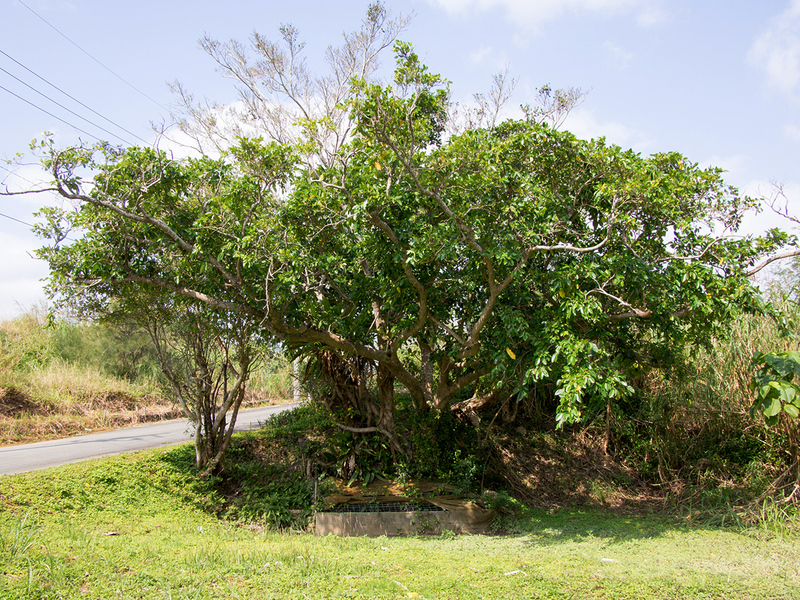 In the past the water was essential for the local community, and was the first water drawn on New Year's Day, as well as the water used to wash newborn children. Kin Children's ParkActivities & ShoppingThe locals' relaxing place, where a flower-filled garden makes the visitors at home.